The Popocatepetl volcano in Mexico erupted overnight on Thursday, firing a huge column of hot ash and gas into the air. 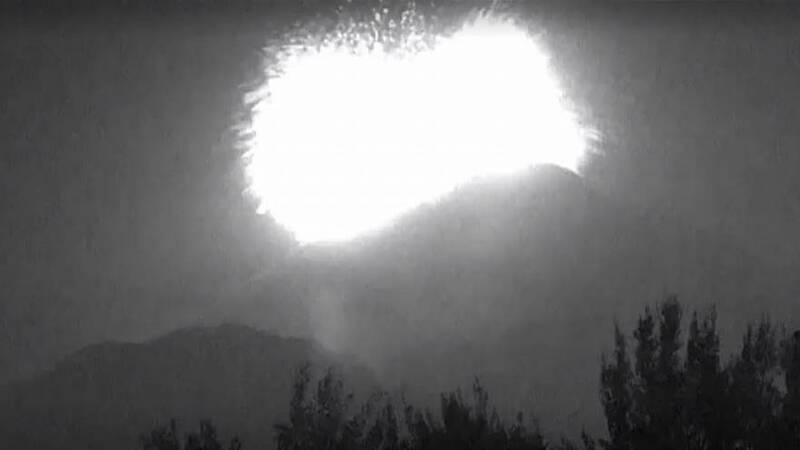 Dramatic video shows the moment of the eruption as a huge flash of white light explodes over the volcanic crater. The column of ash and gas was reported to have reached 2,500 metres high. Mexican authorities had earlier raised the alert level as explosions were seen to be increasing in intensity. You can watch the footage of the eruption by clicking the player above.